Yesterday on NPR I heard a remembrance of Ed Lowe, the man who invented Cat Litter. 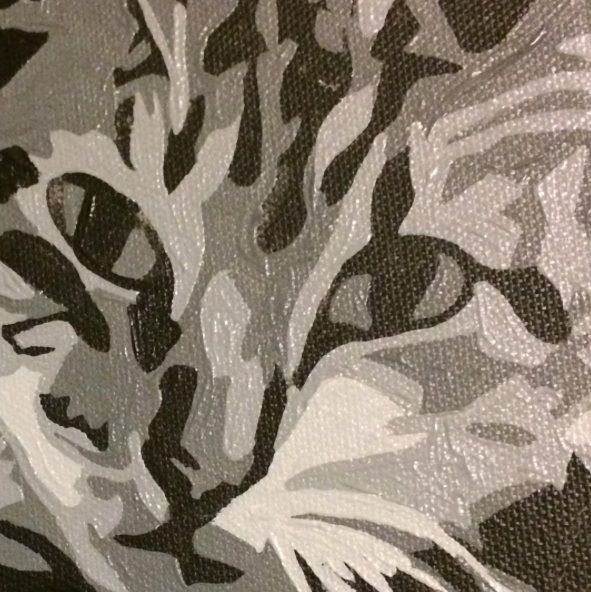 As such, I thought it was only fitting to share this tiny piece of a cat painting I've been working on. I'm hoping to add the finishing touches today. Also, keep your eyes peeled on my Instagram for a mid-week free art drop. With all those Shrinky Dinks I had to do something!